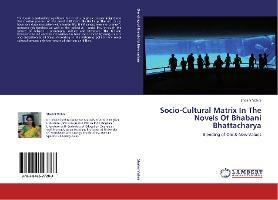 This book is particularly significant for it helps to give a deeper insight into the creative process of the novelist Bhabani Bhattacharya.The old values have very close association with human life. It influences men and women's personal relationships as well as the collective, social life, through the sphere of religion, philosophy, culture and literature. The tension between the old and the innovation has been experienced by every culture and civilization at all times. According to the historical, political and social cultural context only the nature of the tension differs. Dr. Shalini Vohra done her Masters of Arts in English Literature (first Class)is also PhD in Indo Anglian Literature with Bachelors of Education Degree as well.Presently as an Assistant Professor at University Of Petroleum And Energy Studies (First Domain Specific University,Asia).